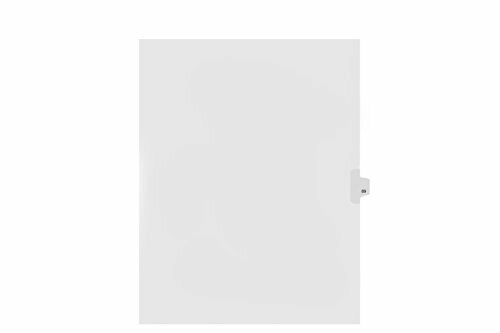 Kleer-Fax Letter Size Individually Numbered 1/25th Cut Side Tab Index Dividers, 25 Sheets per Pack, White, Number 89 (91089) by Kleer Fax by Kleer-fax, Inc. at Ledina. MPN: 285050. Hurry! Limited time offer. Offer valid only while supplies last. View More In Binder Index Dividers. If you have any questions about this product by Kleer-fax, Inc., contact us by completing and submitting the form below. If you are looking for a specif part number, please include it with your message.